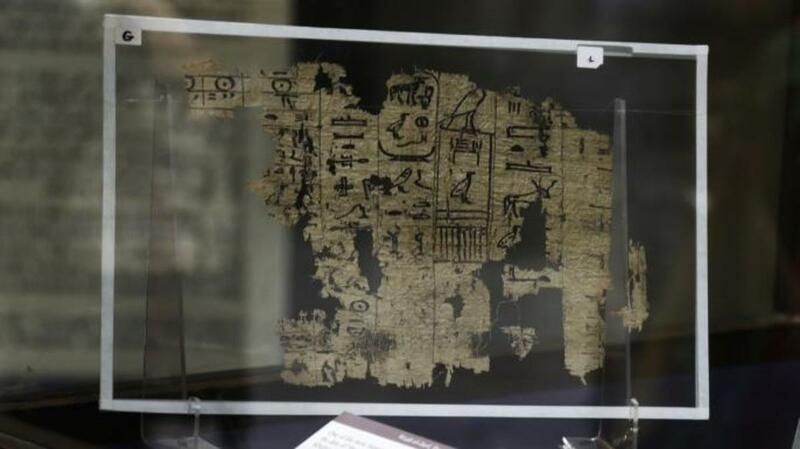 Egypt’s oldest papyrus fragments, which detail the construction of the Great Pyramid of Giza, have gone on public display in Cairo. 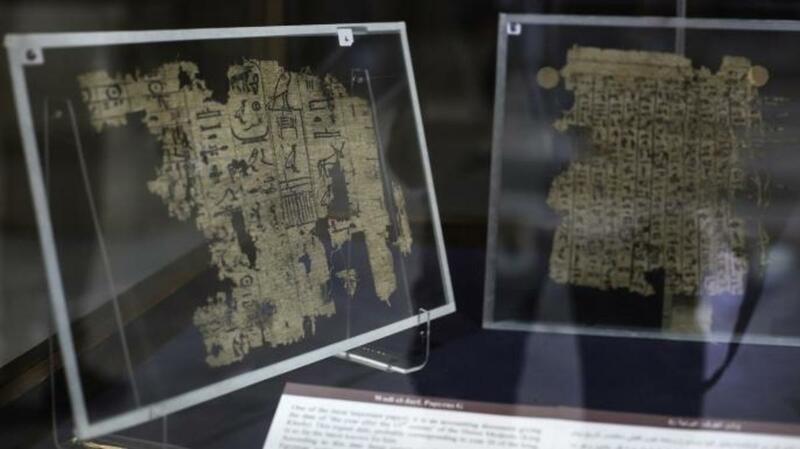 In 2013, a joint team of French and Egyptian archaeologists discovered a remarkable find in a cave at the ancient Red Sea port of Wadi el-Jarf—hundreds of inscribed papyrus fragments that were the oldest ever unearthed in Egypt. 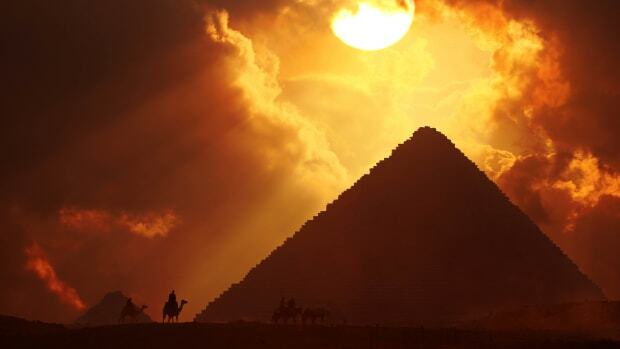 As Egyptologists Pierre Tallet and Gregory Marouard detailed in a 2014 article in the journal Near Eastern Archaeology, the ancient texts they discovered included a logbook from the 27th year of the reign of the pharaoh Khufu that described the construction of the Great Pyramid of Giza. The hieroglyphic letters inscribed in the logbook were written more than 4,500 years ago by a middle-ranking inspector named Merer who detailed over the course of several months the construction operations for the Great Pyramid, which was nearing completion, and the work at the limestone quarries at Tura on the opposite bank of the Nile River. Merer’s logbook, written in a two-column daily timetable, reports on the daily lives of the construction workers and notes that the limestone blocks exhumed at Tura, which were used to cover the pyramid’s exterior, were transported by boat along the Nile River and a system of canals to the construction site, a journey that took between two and three days. The inspector, who led a team of sailors, also noted that the vizier Ankhhaef, Khufu’s half-brother and the “chief for all the works of the king,” was overseeing the enormous construction project. Additional logbooks provide information about other projects undertaken by the same team of sailors in the same year, including the construction of a harbor along the Mediterranean Sea. After their discovery in the caves of Wadi el-Jarf, which is the most ancient maritime harbor known to date, the archaeologists transferred nearly 800 fragments of varying sizes in 100 glass frames to the Egyptian Ministry of Antiquities. Last Thursday, six of the papyri were placed on public display at the Egyptian Museum in Cairo as part of a special exhibition. Among the papyri now open to public view are accounting documents. Very similar to modern-day ledgers, the ancient financial balance sheets record revenues transferred from various Egyptian provinces in red and payments for food and wages in black. “The documents indicate the highly efficient administrative system in Khufu’s reign,” said Egypt’s Ministry of Antiquities. Completed sometime between 2560 B.C. 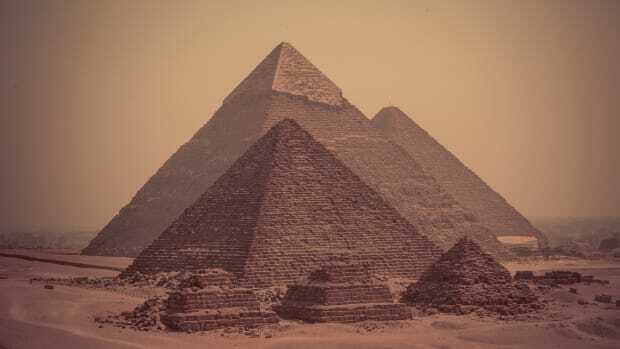 and 2540 B.C., the Great Pyramid of Giza is the only one of the Seven Wonders of the Ancient World that is still standing today. 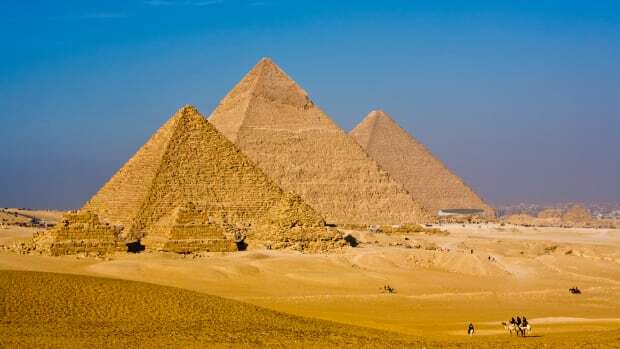 The largest of Egyptian pyramids took an estimated 23 years to complete and, at a height of over 450 feet, remained the tallest structure in the world for nearly 4,000 years. The average weight of the 2.3 million blocks required for its construction was seven tons. 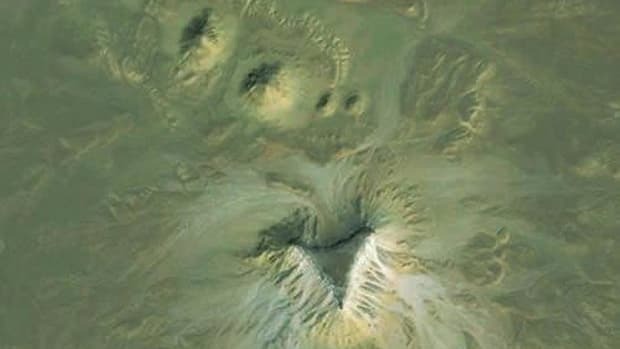 In spite of the location of their discovery nearly 150 miles southeast of Giza, the relics do not contain any information about activities related to the pyramid construction at Wadi el-Jarf. 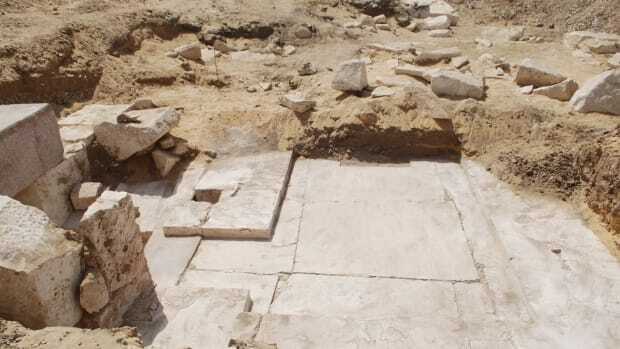 “The surprising presence of these documents on the Red Sea site at Wadi el-Jarf is most likely explained by the fact that the same specialized teams that worked on the construction of the royal tomb were also responsible for some operations at this port facility,” Tallet surmised. 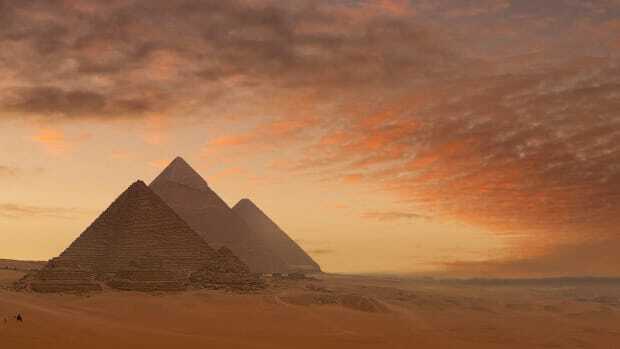 One possible explanation is that the Red Sea port could have been a distant dependency of the Great Pyramid project in order to obtain the copper needed to fashion the necessary tools for the structure’s construction.